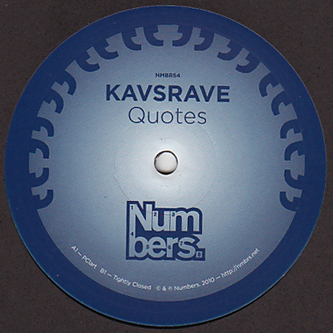 Next-level dubstep heat from the newest Numbers recruit, Kavsrave. 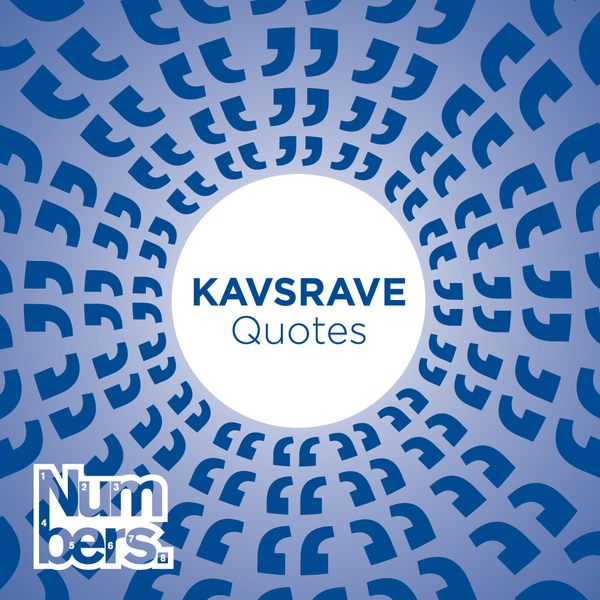 Hailing from Croydon, aka the spiritual home of the 'step, Kavsrave grew up making tunes and partying alongside close mates Joy Orbison and A1 Bassline. His music hits the very same receptors as Joker's purple wow beats, a mix of super-tight future funk synths and roaring basslines that Jackmaster has been caning in his sets of the last 12 months. 'P-Clart' starts the session with a flush of floating R'n'B vocals coating a pirahna-toothed bass synth and expertly organised half-step funk. 'Tightly Closed' reworks this formula with hyperventilating vocal snippets applied to masses of crushing neon synth pressure and the instantly recognisable refrain of 'Baggage Handler' leads us into one of the years undoubted heavyweight anthems. If you like Terror Danjah, Joker or Joy Orbison then this record is a proper recommendation!